Are you looking for Simply best Alaska Travel Agency in Alaska. For over 20 years, we have provided our clients with the best Alaska Cruise Tips, Alaska Holidays, Cruise Tours and Exotic Destination Vacations. Legendary World Alaska specializes in group cruises and escorted land vacations. Click below to get notified of upcoming events. We receive hundreds of offers everyday along with valuable information and tips from cruise lines and destinations. Subscribe to our newsletter today – we highlight only the best offers and advice for our readers! As travel agents specializing in alaska, we’ve experienced many Alaskan Cruises over the years, having done all the itineraries for Alaska at least once including: Vancouver to Seward or Whittier or vise versa; Round trip from Seattle and Round trip from Vancouver. We know all the Secrets on all the ships: Port vs. Starboard, best places on ships for sight-seeing; best placement on ship – especially when choosing a balcony. We’ve experienced many ports and shore adventures and can recommend options based on your ideal vacation. We specialize in groups with experience in booking family reunions and incentive groups We are highly experienced travel agents and offer Personalized & Professional planning services. We can book your entire package from flights, cruise, pre/ post stays. We can answer all of your Alaska Cruising related questions with ease while we help plan your next amazing Alaskan Cruise Holiday. Working with us will ensure you have a hassle-free experience of a lifetime! Please check out our information below, then contact us today so we can help plan your next cruise vacation! With more coastline than all other U.S. states combined Alaska is a vast and picturesque state that offers spectacular sections of that coastline can be seen and explored via cruise ship. Prepare yourself to be awed by the majestic scenery, which ranges from lush coastal rainforests to massive glaciers that send newborn icebergs crashing into the sea. The wildlife is just as impressive: delight in watching a family of bears moving along the shore or watch a pod of whales surface in the water. The grandeur of the scenery, a unique culture and magnificent wildlife maintain Alaska’s position as a top cruise destination! Not a port call but rather a region shaped by the staggering force of massive glaciers. An extremely popular route for cruise ships, which slip quietly through the narrow fjords, ideal for watching whales, bald eagles, sea lions and more. Set in the lush greenery of the Tongass National Forest. A short walk from the cruise ship dock will take you to photo-ready Creek Street, where historic buildings perch on pilings over the tumbling creek. Consider taking an excursion to Misty Fjords National Monument, where waterfalls glide over granite cliffs, plunging into narrow bays carved by glaciers. Tucked between the water and a range of magnificent mountain peaks. On top of the peaks is the Juneau Icefield, which flows into about 30 different glaciers. One of these, Mendenhall Glacier, is just a few miles from downtown Juneau. Skim over the glacier behind a team of spirited sled dogs – a perfect way to experience Alaska. Mount Roberts Tramway is just steps away from cruise ship dock. A six-minute ride takes you 1,800 feet up Mount Roberts for some terrific views. The Klondike Gold Rush of 1898 feels like it is still in full swing, with many restored Gold Rush-era buildings downtown. Starting point for two of the most direct routes to the gold fields: the Chilkoot Trail and White Pass. Hike along the Chilkoot Trail and even pan for gold. 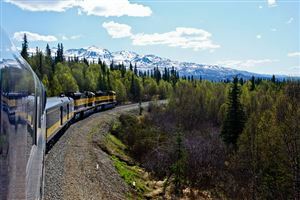 View gorgeous White Pass from the comfort of your seat on the White Pass and Yukon railway. Visit Anchorage via Whittier, approximately 65 miles southeast of Anchorage. Nestled at the base of the Chugach Mountains. Great launching point to visit Prince William Sound and its tidewater glaciers. The Best time to take an Alaskan Cruise is between May and September. The high season generally runs from June through August. The best time to go really depends on you, the traveller. During the months of June and July the weather is warm, however, it can be quite rainy. The further into the summer you travel, the more chances you’ll have to see wildlife during your various shore excursions. These month are also the best if you plan on going fishing. May and September offer lower cost cruise fares with fewer people on board. However, these months also have a higher chance of cancelled shore excursions, primarily the helicopter and boat tours. The month of may is colder and dryer, especially the Inside Passage reagion. September provides great end-of-season shopping, however, the gulf of Alaska is choppy and not recommended for those who get seasick. Denali National Park is also known to be closed due to snow. Consider taking a cruisetour If you want to explore what lies beyond the stunning coastline of Alaska. Cruisetours provide an excellent way to see and expereince more of this vast and picturesque state than possible from port calls and coastline cruising also. A cruisetour combines a cruise ship voyage with a land-based tour of Alaska’s interior! Set your own daily itinerary at the lodge or experience a fully-escorted tour with knowledgeable guides. Travel often takes place aboard deluxe, glass-domed rail service or motorcoach. These tours are a great way to experience Denali National Park or out-of-the ordinary destinations such as historic Dawson City in the Yukon Territory. The cruise was excellent. The rest of the vac was excellent and went like clockwork. Hotels were excellent etc etc. U R one great travel agent. That is why U R still my travel agent. We know travel because we love to travel. 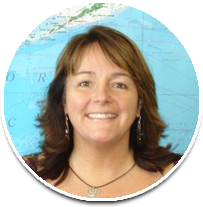 Our travel specialists work for you and our services are free as we’re paid by the Vendors. We’ll match you with the perfect land or cruise vacation and make travel planning easy and stress free. 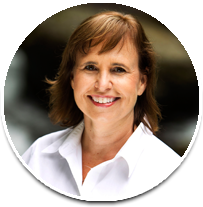 Why Use the Services of a Travel Professional ?